Videos: Act 1: What is radiation and where does it come from? Space weather events have periodically disrupted communication and power transmission since the time of the telegraph. More recently, we have experienced interruptions to radio communications, satellite television broadcasts and cellular telephone service. 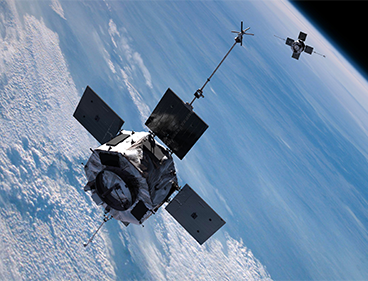 Work together as scientists and engineers to design a spacecraft that can withstand the harsh environment of the Van Allen Radiation belts, where many of our communication, GPS navigation, and weather forecasting satellites orbit Earth. Once in that extreme region, the radiation-hardened spacecraft you design can collect data during space weather events and use that information to predict when powerful solar storms could cause damage to satellites, and how to build smarter satellites and future spacecraft to endure this challenging environment.